World Wide Notary, based in Texas, has developed DigaSign, an innovative, simple, Internet service to expedite the signing and/or notarization of documents by utilizing electronic and digital signatures and electronic notarizations. We completed the first fully electronic, mortgage closing in California this past February and the first electronic real estate closing in Texas in 2004. Pioneering electronic signatures, as early as 1996, World Wide Notary’s management team has years of experience working with stringent Federal mandates, such as HIPAA, E-SIGN and UETA, regarding security and the use of electronic and digital signatures. Forty seven states and the District of Columbia have adopted UETA. The three states, Illinois, New York and Washington, that have not adopted UETA, do have statutes pertaining to electronic transactions. 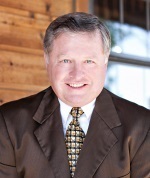 Bob Rice, CEO, has 20 years in business with diversified sales experience. He is the founder and senior executive officer of software, insurance and healthcare related companies that managed over 150 corporations. He has been instrumental in conception, researching regulations and defining the state and federal requirements related to the process of electronic notarizations and e-signatures. 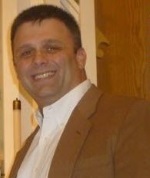 Jason Streit, President, has worked in the computer industry for over 20 years including 15 spent specifically with electronic signature and notarization. He brings experience in architecting, developing and managing enterprise-wide software initiatives for Lockheed Martin, Ernst & Young, USAA, and Dell. He has spent the past 12 years working with the DigaSign application. He holds a B.B.A. in Computer Information Systems from Tarleton State University.